We look forward to meeting with you and hope to make your first visit as seamless and comfortable as possible. To help us serve you better as well as to help you understand what to expect, here are some tips and information. If you are transferring from another dental office, and have access to your dental records, please have them emailed to yelmdentalclinic@gmail.com. If you are unable to get a current copy of your x-rays, and your insurance will not cover another set, we will update them at no additional charge to you. You may also mail them to Yelm Dental PO Box 1090, Yelm, WA 98597. 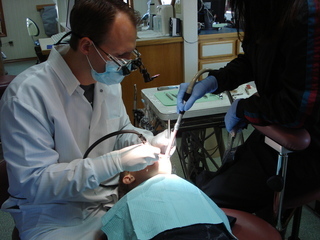 A comprehensive dental and hygiene exam. We may or may not complete a cleaning at this first visit. We are committed to providing the best dental care available which includes a dental cleaning that is appropriate for your needs. We may recommend a separate visit or even multiple appointments to achieve an optimal result.